Federal research funding is vital to our nation’s innovation and economy. 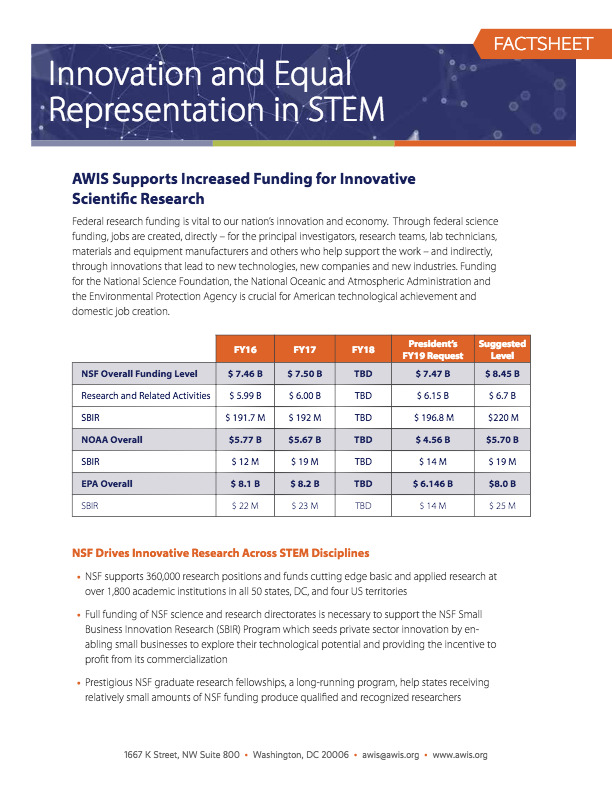 Through federal science funding, jobs are created, directly – for the principal investigators, research teams, lab technicians, materials and equipment manufacturers and others who help support the work – and indirectly, through innovations that lead to new technologies, new companies and new industries. Funding for the National Science Foundation, the National Oceanic and Atmospheric Administration and the Environmental Protection Agency is crucial for American technological achievement and domestic job creation.